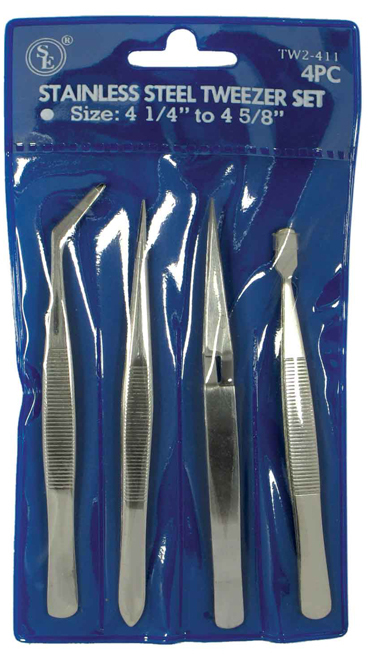 Home > Tools > Tweezers > 4-Pc. 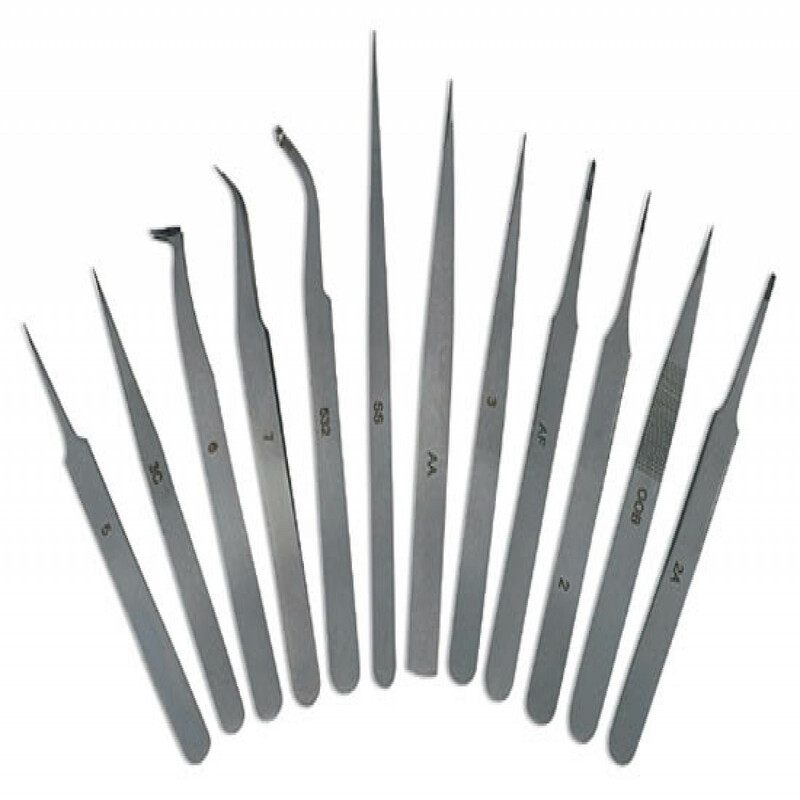 SS Hobby Tweezer Set, Length 4-5/8" & 4-1-4"
4 Pc Tweezer Set Set Includes : One pair of cross locking tweezers One pair of tweezers with a flat tip One pair of tweezers with a fin tip One pair of tweezers with a curved tip Functions : to Grab, position and manipulate the smallest of items Use : Hobbist, Jewelers, Watch Makers, Electronic Assemblers Etc. 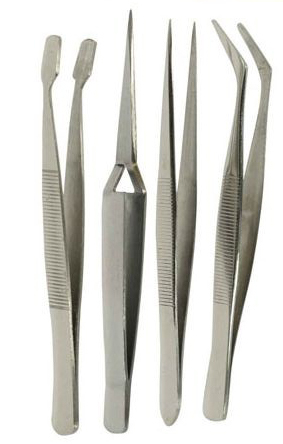 Bent and Stamp Tweezer Stamp Tweezer : Length : 4.25"
Reverse Tweezer : Length : 4.50"